As of this past Sunday, I am officially in my third trimester! One minute I'm ready, the next I'm not AT ALL. Thank goodness I still have three months to go - there's a LOT of preparation that needs to happen before November 6th. I mentioned in the last baby bumpdate post that the nursery plans are coming along, and I wanted to share our progress. Since we bought our house in 2012, the 3rd bedroom has never been used for anything purposeful. It was an office for a short period of time until it became the dumping ground for all things wedding... and never really recovered (even though we're nearing our 3rd wedding anniversary). Clearing the room out was daunting but it feels amazing to be able to leave the door open for once, and not have to shut the door out of embarrassment when guests come over. Finally, all of the bedrooms in our house have a purpose and I'm so excited to transform this underutilized space into a sweet, cozy nursery. You'll notice that the carpeting is terribly low-grade office carpeting, aka the kind that will give you an immediate rug burn. We hated it. Each bedroom on the 2nd floor has totally different (read: BAD) carpeting, and we were so desperate to update it all with new carpeting. Since we're pinching pennies it wasn't realistic to redo the whole 2nd floor, so we decided to rip up the nursery carpeting on a whim (sound familiar?) knowing that we could afford to re-carpet the small room. 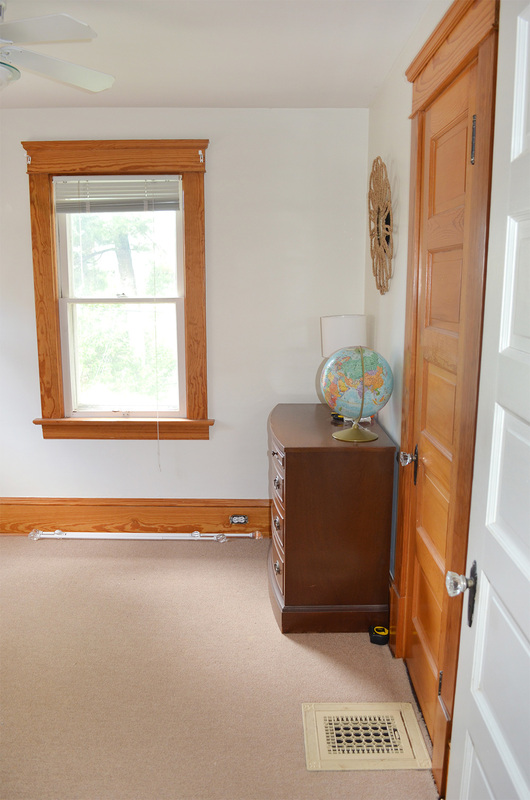 The doorway is in the top left corner with the closet on the lefthand side. 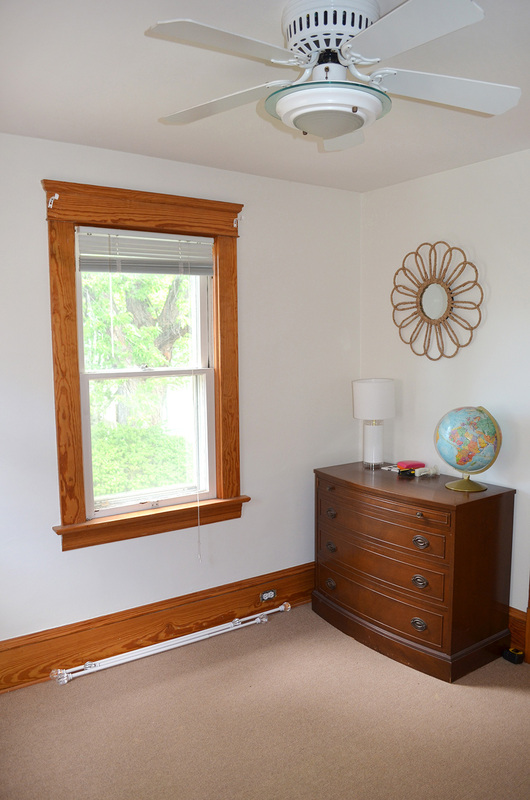 One window on the bottom wall and one on the right make for tricky furniture positioning, especially given the small room. The recliner, crib, dresser and some sort of storage (whether it's a bookshelf or a cube storage system) will be the main furniture pieces, and a large rug will cozy up the newly finished floors. That's it for the nursery update, at least for now. We have less than three months to go and a lot left to do, but we're making steady progress. We'll have a decor-ready room in no time! Do you have any small-space living tips or ideas on how to maximize a teeny tiny nursery? I'd love to hear. Stay dry and have a wonderful weekend!